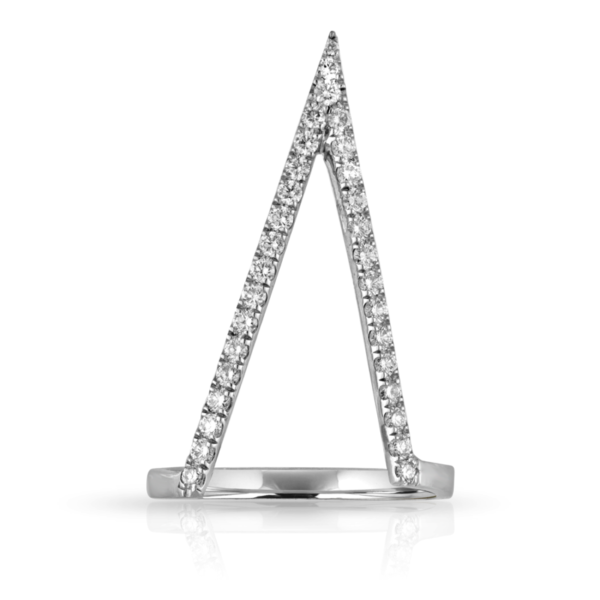 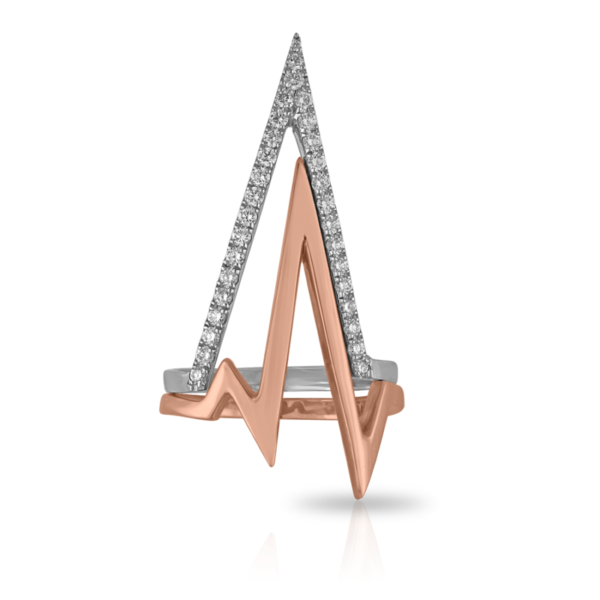 Shah & Shah handmade Heartbeat Collection; 18k white gold and diamond micropavé ring- 0.40cts total diamond weight. 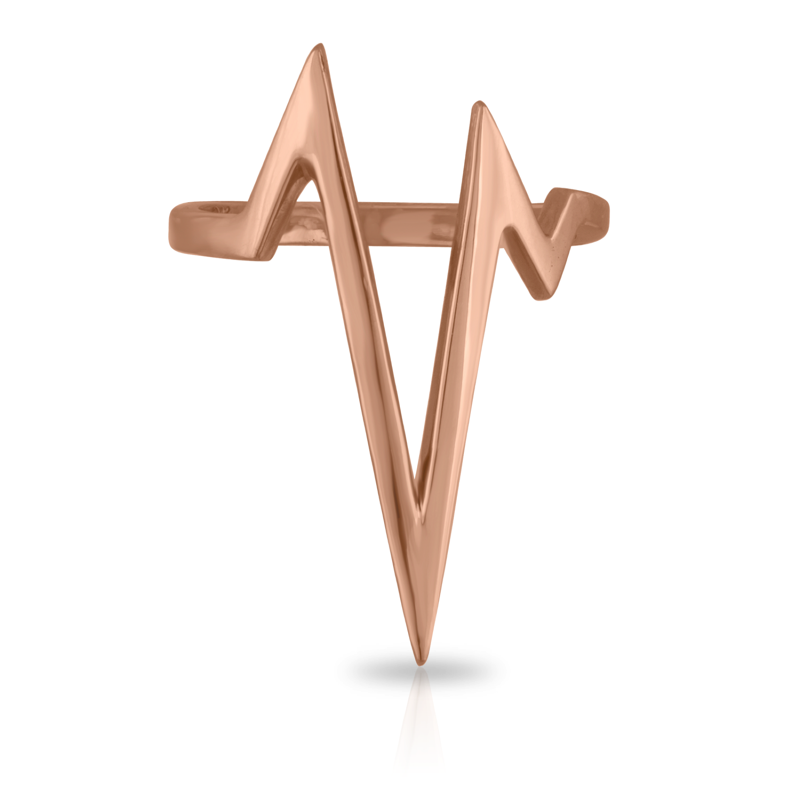 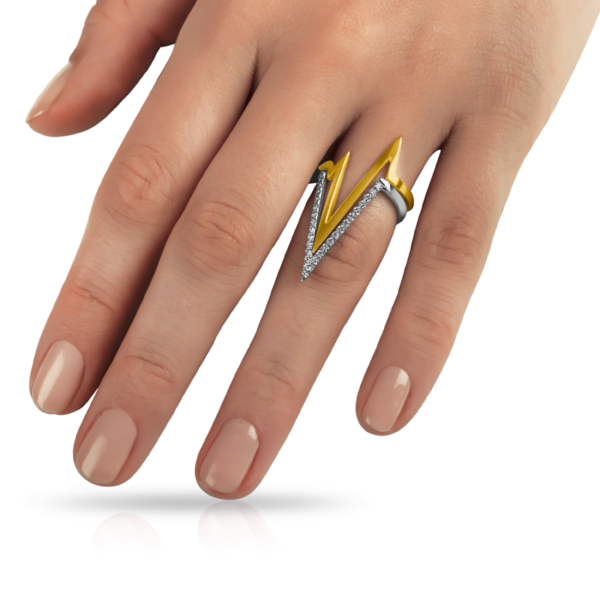 Paired with a Shah & Shah handmade 18k gold Heartbeat ring. Available in 18k yellow or 18k rose gold.